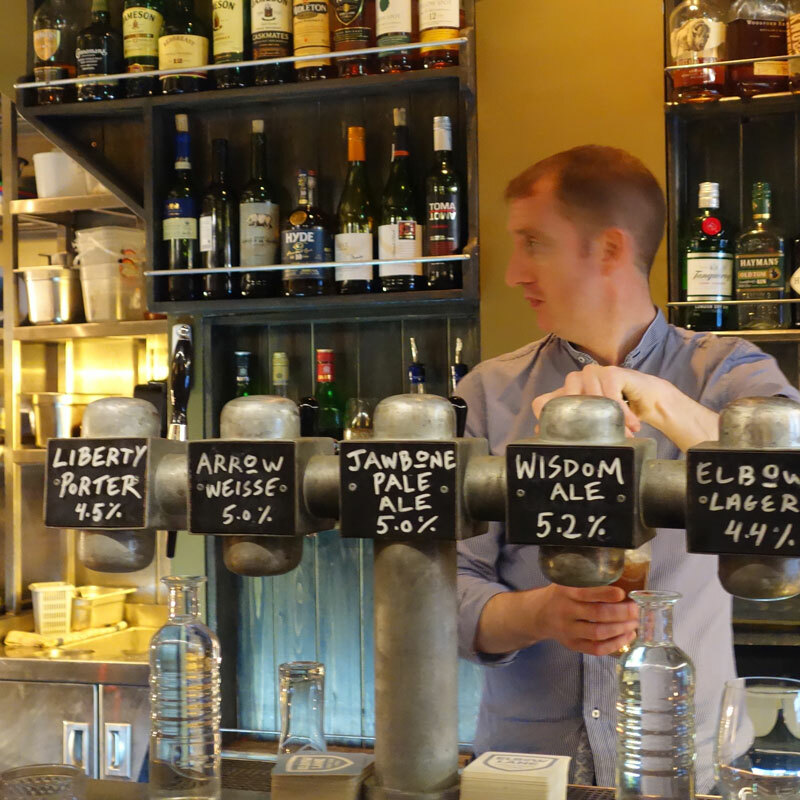 Eamon Barrett admires the smarts, and enjoys the cooking, of Cork’s Elbow Lane. Elbow Lane isn’t just a cool restaurant. 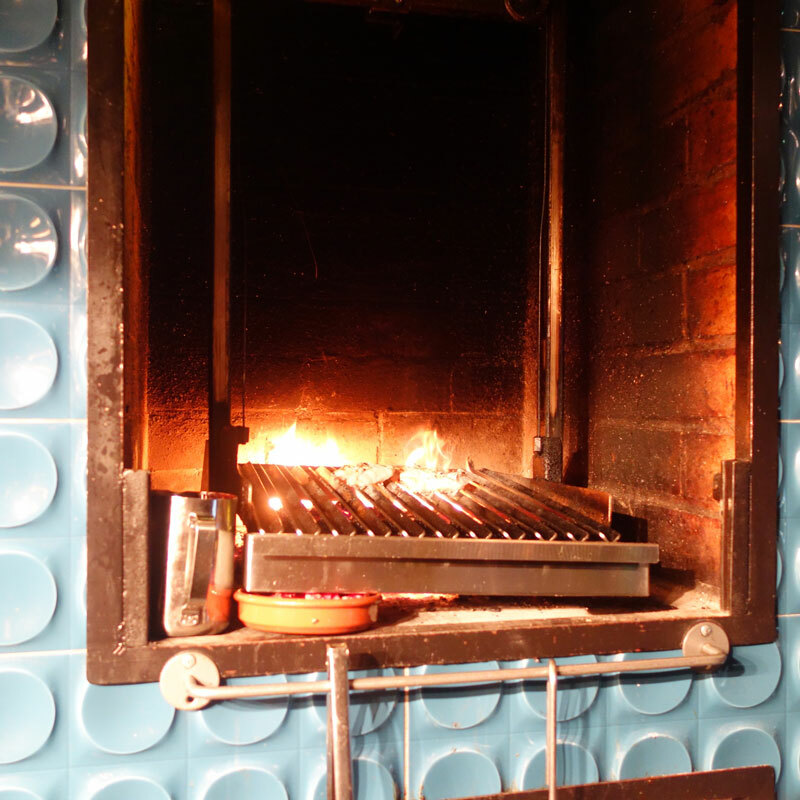 It’s an effortlessly cool restaurant. 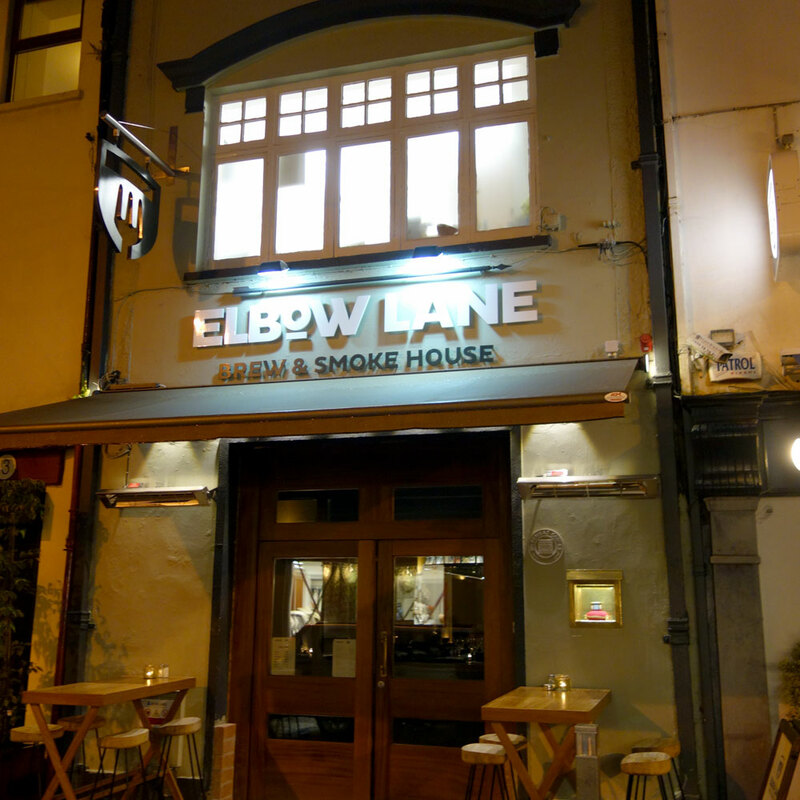 Located in a charming narrow building, right next door to its sister restaurant – Market Lane – on Oliver Plunkett St, Cork’s recently declared ‘most interesting street’, Elbow Lane declares itself a Brew & Smokehouse. There’s a small bar and then a selection of seating with the ‘Nano brewery’ located right at the back of the restaurant through a glass door. The beers are all brewed according to German Purity Law, meaning no more than four ingredients are used, and there’s a selection of five types: Elbow Lager, Wisdom Ale, Arrow Weiss, Jawbone Pale Ale and Liberty Porter. For research purposes I tried a glass of Elbow Lager and it certainly went down very well. 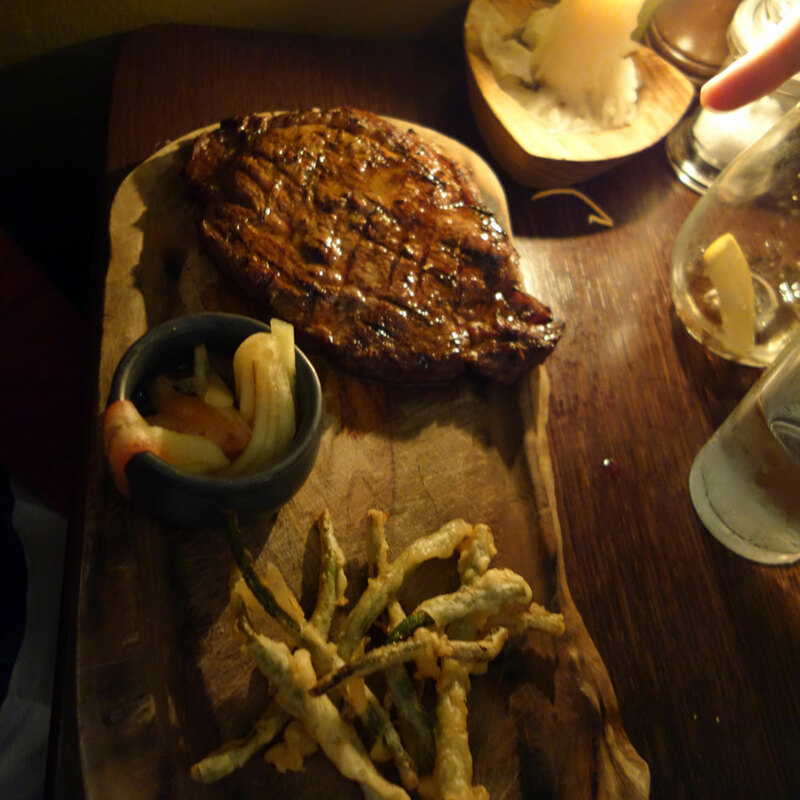 The food menu is pleasingly concise: six starters, seven mains and four desserts and with two hungry nephews in tow it was easy to sample a good array of dishes. 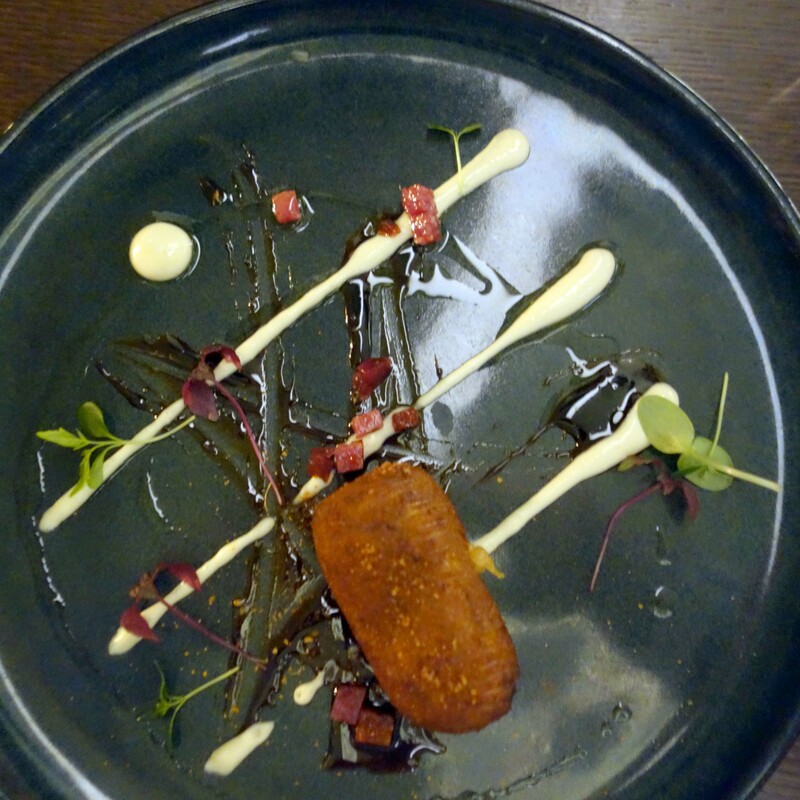 For starters they demolished a portion of Pigs in Blankets (home-made sausage rolls), some crab tater tots with a fermented lime dressing (more crab, less potato please) and, the star of the starters, a low smoked brisket roll with Rojak sauce, a dish of wonderful smokiness that exemplified umami. For mains, middle nephew ordered the grilled lamb rump which was to come with a lime and watercress potato salad and Bulgogi sauce (a Korean marinade made with garlic and sesame) but after a delay, the kitchen decided they weren’t happy with the lamb rump so he changed to a grilled ribeye with ‘Cascade’ butter – a butter flavoured with Cascade hops. Eldest nephew also went for a steak, in his case a sirloin, again with the Cascade butter and I chose the fish special, a full sole on the bone, to which we added some triple cooked chips and a seaweed potato gratin. The lads like their steaks with some blood, thankfully, and from the small pieces I was given to taste the meat had a great flavour. 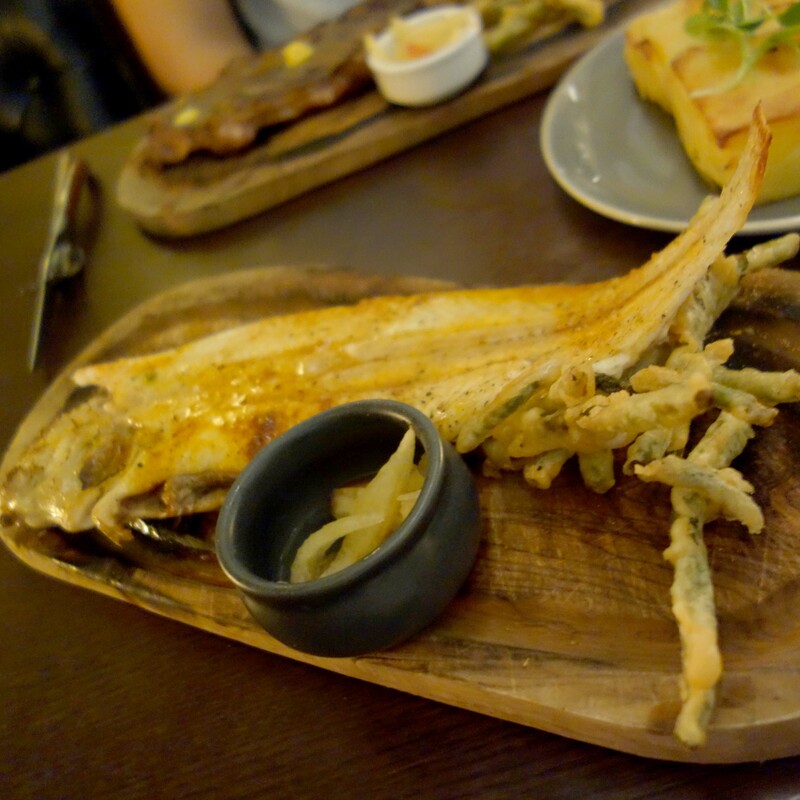 My sole was a good sized fish, served with the head still on, and was perfectly cooked - the flesh sliding sideways off the bone with ease. I loved the seaweed and potato gratin, a fantastic idea which added great depth to the flavour of a dish that can be incredibly bland when badly executed. Good chips are just a given now and these ones didn’t disappoint. 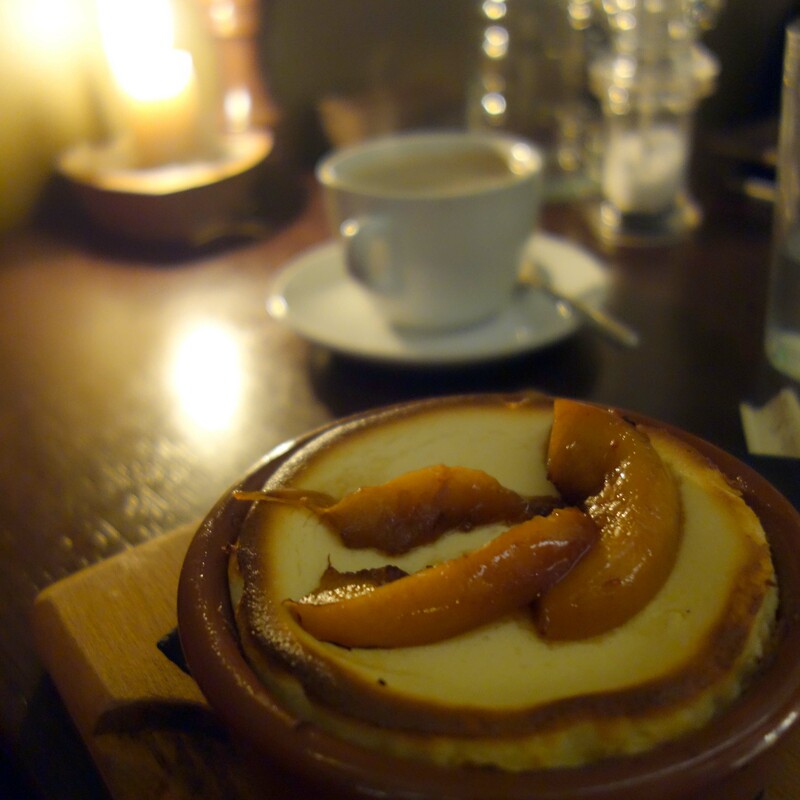 Middle nephew won the prize for his dessert choice: a Basque cheesecake with nectarine and chilli compote, a beautifully balanced dessert, served in an earthenware dish, that perfectly satisfied the desire for sweetness at the end of a dinner, without being cloying or over sugary. A strawberry, thyme and lime posset with candied malt had a wonderful sharpness while my own hazelnut and chocolate mousse with burnt marshmallows was the least successful of the trio and needed some extra textural elements to lift it away from being just a chocolate mousse. 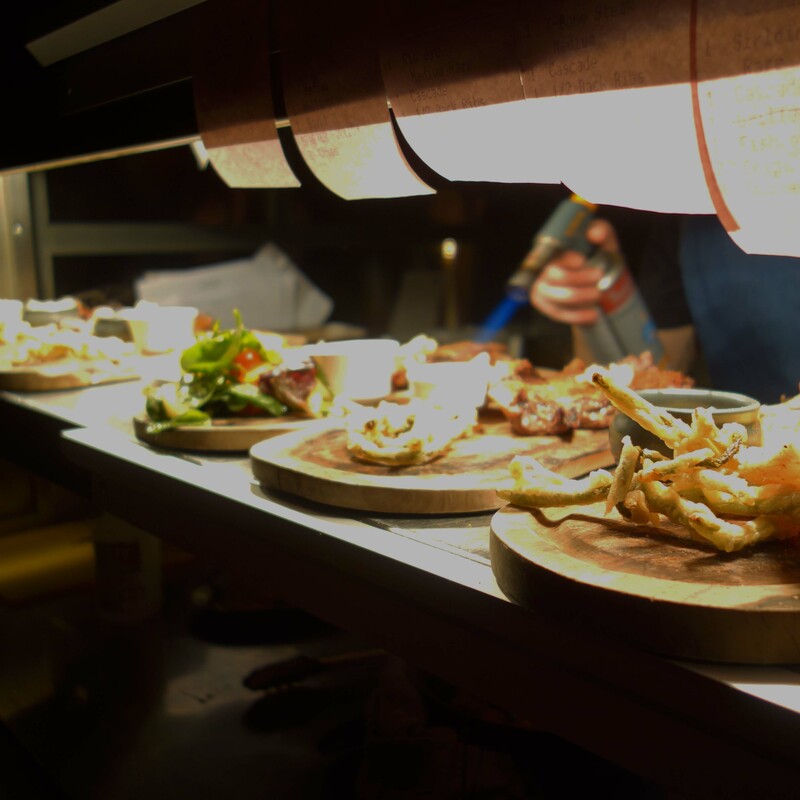 Staff were friendly and attentive throughout, offering snappy explanations of all of the dishes and, because the space is quite small, there’s a high level of chatty interaction between staff and customers as dishes whizz by – something which adds to the fun vibe of just being in Elbow Lane. It’s a place we’d have been quite happy to linger for the evening and definitely somewhere I’ll be returning to, if only to sample from the tempting list of cocktails. Elbow Lane could easily have made the mistake of putting out mediocre food and in truth, they’d probably get away with it since the space is so conducive to a great atmosphere. The fact that care and inventiveness with the food are given equal importance with the drinks, along with great (if sometimes distracted) service, is what elevates Elbow Lane into that rare list of places that seem to have the formula absolutely spot on.